Mainstream, 1992, Hardback in Dust Wrapper. Condition: Very Good — in Very Good Dust Wrapper. A little rubbing to the edges of the dust wrapper. Text complete, clean and tight, but the colour plates have caused a slight undulation to the leaves. A nice copy all the same. 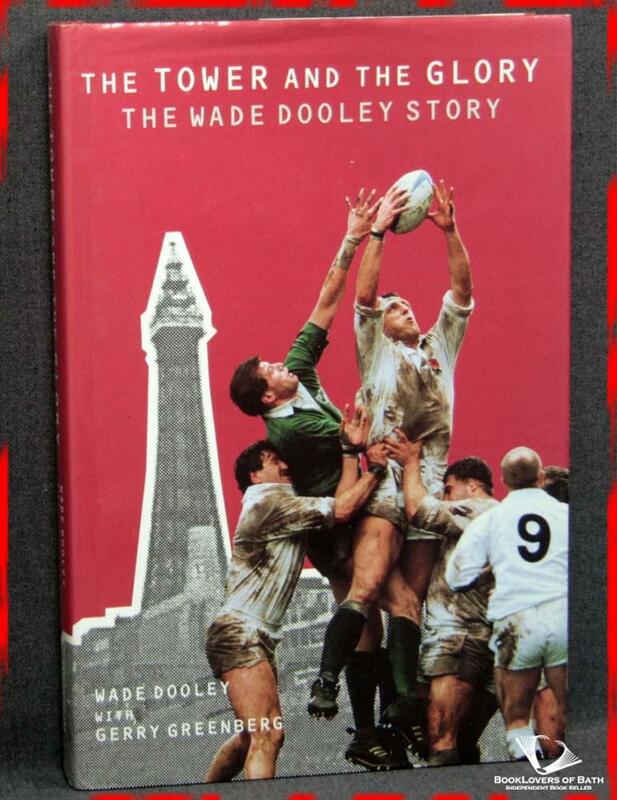 From the cover: “FEW men have played a bigger role in England’s glorious Rugby Union renaissance than Wade Dooley, the 6ft 5in policeman they call the Blackpool Tower. The giant lock’s unique ball-winning talents helped to lay the platform tor Will Carling’s record-breakers as they stormed to the World Cup Final and back-to-back Grand Slams in 1991 and 1992. In his autobiography, Big Wade relives his colourful and sometimes controversial career which culminated in a fairytale 50th and final appearance when he led England out for the game that clinched the historic second Slam — and celebrated by scoring only the third try of his Test career! Yet when he was plucked from obscurity in 1985 to solve an England injury crisis, the scenario could not have been more different. A junior player at Preston Grasshoppers, he was plunged into a side which lost more games than it won. Wade took his chance with both hands and went on to clean out the world’s top lineout aces in a glittering career that spanned four continents and a triumphant British Lions tour to Australia in 1989. With his success came England success. In Wade’s case it was all the more remarkable because, unlike his peers, he consistently had to bridge the gap between Fourth Division and international rugby. His big-match preparation was also unique, from training alone on the beaches and sand-dunes around Blackpool to locking himself away from his team-mates immediately before every match in a unique self-motivation exercise. Size: 9½" x 6¼". Red boards with Silver titling to the Spine. 192 pages.